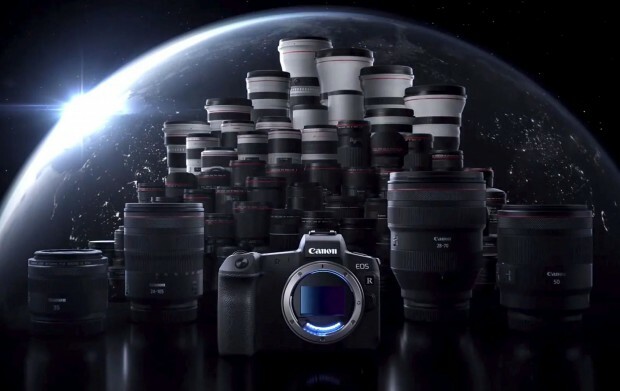 Canon has officially announced the new EOS R full frame mirrorless camera and RF lenses today. EOS R features a 30.3 megapixel CMOS sensor that is powered by DIGIC 8, enabling shooting at up to 8 fps. The EOS R also comes with the ability to shoot Canon Log, providing 12 stops of dynamic range. EOS R also features Dual Pixel CMOS Auto Focus with 5,655 manually selectable AF points, supporting AF at up to f/11 with a 384 zone (24×16) real-time metering system. With f/1.2 lenses, the camera astonishingly boasts AF sensitivity in low light in as little as EV-6. When using the RF 24-105mm F4 L IS USM lens with the EOS R, the camera can focus in as little as 0.05 seconds with Dual Pixel CMOS AF, making it the fastest autofocus speed in the world. New Canon EOS M to be announced this week? First Images & Specs of Canon EOS R, 4 RF Lenses !